What Is the Worst Phone You've Ever Had? Smartphones rule, but they didn't always. They weren't even always smart. Once, mobile phones were dumb. Super dumb. 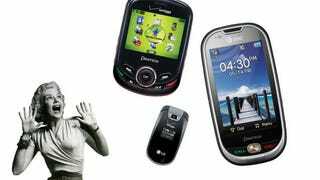 What's the dumbest, most terrible phone you ever had? In the discussion below, tell us the worst phone you've ever had. Kindly use the following format, to maximize the browseability of the discussion. It's ok if you can't find the exact model as long as it looks similar to the one you used before.